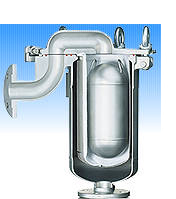 Our “Topline” series is the finest bag filter vessel available. From its high-performance design to its investment-cast components, everything about “Over the Top” is simply the best. 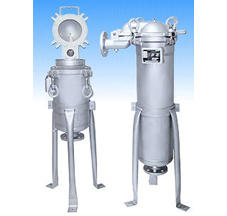 The side inlet, flow through the top design results in a minimum headroom of unfiltered liquid for easy bag change out, as well as providing optimum sealing of the filter bag. Applications that require the installation of gauges, vents or pressurized air connections are easily accommodated by two 1/4″ NPT threaded cover taps. Filter Area 2.6 sq.ft. 5.0 sq. ft.